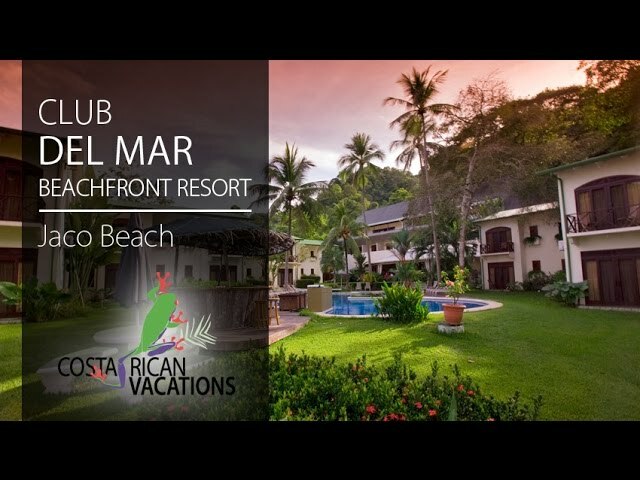 Located in a quite cove at the southern end of Jacó Beach on Costa Rica’s Central Pacific coast, Hotel Club del Mar is the perfect location for young adults, surfers, and families wanting beach, world-class sportfishing, nightlife, and restaurants. Only two hours from San José and just a ten-minute walk to downtown Jacó, Hotel Club del Mar is convenient and budget-friendly. Club del Mar is a 10-room boutique hotel, offering am additional 22 condos set along two acres of beachfront property. All condos and guestrooms have the basic comforts like A/C, cable TV, safe, hair dryer, and coffeemaker. Club del Mar includes complimentary WiFi in the bar, restaurant, lobby, and pool area. The open-air Las Sandalias Restaurant serves breakfast, lunch, and dinner. They offer a varied menu and some of the freshest seafood right from the local fishermen. If you happen to participate in the world class fishing in the area, bring your catch to the kitchen, and they will cook it up for you right there! The adjoining bar offers an extensive beverage menu and serves lighter snacks throughout the day. Other on-site amenities include a small spa, on-site surf instructors for all ages, and an ocean-side swimming pool. Bikes and boards are available for rent at the hotel, and yoga classes are offered regularly. Your stay also includes a la carte breakfast each morning. The ocean side pool is perfect for water sports like volleyball or aerobics or just to relax. The Tiki Bar closes right after sunset, which gives you enough time to enjoy a drink while you take in the lovely views. The beach is ideal for surfing, swimming, or sunbathing.